A customer places their order; the order is then given to the warehouse where an employee will search or ‘pick’ for the selected items. They are then packed and shipped. Depending on the shipping method, the whole process could’ve taken up to five business days. Five business days is a long time in today’s fast-paced living. We don’t have time to wait that long. So Online Stores, Inc. had to think of a way to better the organizational system in order to keep up with the demands of the consumer. Before the new system went into place, the most of the time spent, was on searching. The location of items were never defined by a system, therefore trying to find something specific became a daunting task, especially as more inventory came in. On any average eight hour working day, a single employee would pick about 75-100 orders. New employees coming in would need about a month to learn where products were. This had to be upgraded. 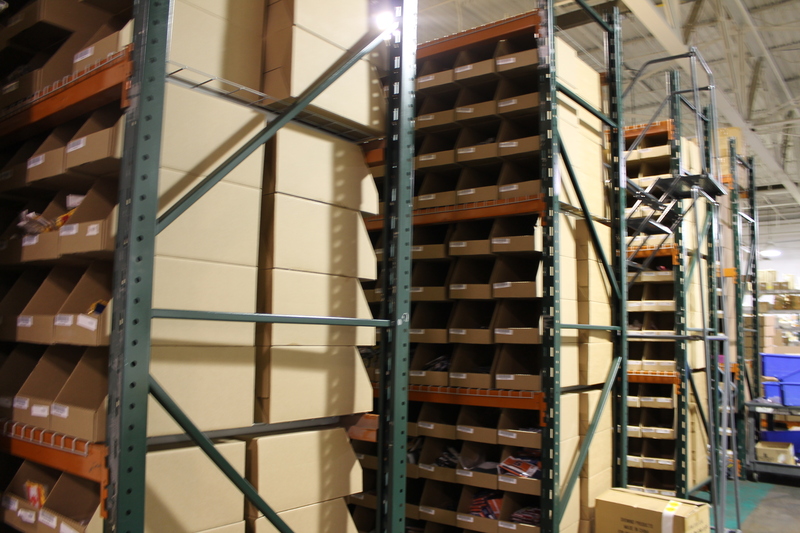 Store by store, a more organized and efficient way for storing and picking inventory was put into place. A barcode was assigned to each product, defining its location. An employee can now quickly find and send an order to be shipped electronically. With limited space to move inventory laterally, the only other option was to go up. Shelving doubled in height to twelve feet and was replaced with stronger steel shelves. To prevent employees from having to climb ladders, the inventory was stocked by velocity; meaning that the more popular products are on the lower shelves for easier access to prevent constant ladder use. “By using this technology, we are able to rely on the process, therefore creating less human error. Less error, faster delivery, happier customer,” stated Brian Cerra, President of Operations. Orders picked have increased over three times the amount and decreased the processing time down to one business day since the new system has been fully operational. Come 2013, no matter the shipping method, processing will be same day. The most recent reorganization took place within the United States Flag Store warehouse space. With efforts and materials, the cost to create a more customer friendly system was well over $50,000 in the Flag Store alone. With the way things are going for United States Flag Store and Online Stores, Inc., it won’t be long before the reorganization efforts pay off. Your system still needs to be greatly improved. I am still waiting to get the correct order I placed in November. Due to errors entirely within your company I am still waiting. I will not recommend your company to anyone nor will I place another order with your company. Hello Sarah. I’m very sorry to hear this. I would be more than happy to look into what has happened and work with you to correct the situation. Could you help me by emailing me the situation at ols.social@onlinestores? Thank you.